Ideal Landscape Group | St. Louis MO premier commercial landscaping co. Better. From the Ground Up. 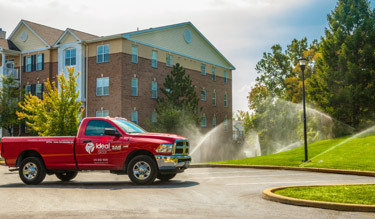 Ideal Landscape Group is a St. Louis commercial landscape firm providing expert landscape management and construction services. 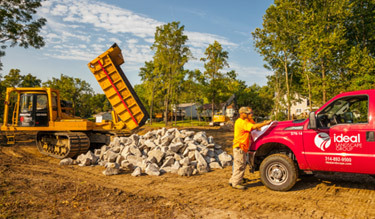 We are a family-owned business with a long history of providing landscape management and construction services to commercial clients throughout the St. Louis area. We proudly partner with small and large businesses to maintain and service properties ranging from public and municipal spaces to office buildings and retail plazas. 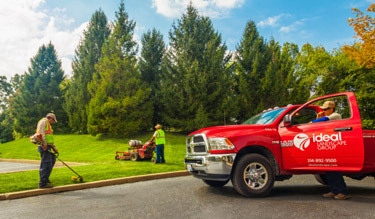 Ideal Landscape Group provides high quality, budget conscious landscape management services for industrial properties, medical facilities, corporate office buildings, retail shopping centers, large business parks and franchise retail properties. All of Ideal Landscape Group’s construction services are provided in-house allowing for one point of contact to manage all aspects of the construction project saving clients time and budget. Our irrigation division provides commercial irrigation maintenance services for existing irrigation systems as well as commercial irrigation installation services for new construction projects. 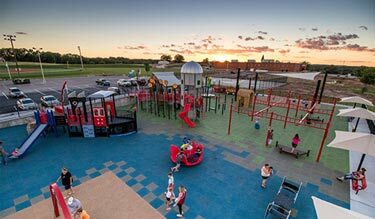 Ideal’s Play & Surfacing Division specializes in commercial recreational equipment and playground installations. Our on-staff Certified Playground Safety Inspector (CPSI) ensures that every project is completed with the most up-to-date safety standards in the field. As we all know, St. Louis winters are unpredictable. 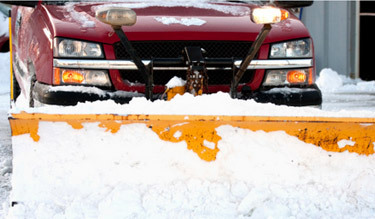 But whether your property is large or small, you can rest assured knowing Ideal Landscape Group can take care of you, your residents, employees and customers, and that your property will remain open during even the worst snow or ice storm.